A heartbreakingly beautiful piece of work. Homestead traces the intertwined lives of three clans in the remote village of Rosenau, high in the Austrian alps, over a span of seven decades. This intricately spun web of human dramas opens in 1909 with the arrival of a postcard addressed to “Anna Fink”– who, because of the conventions of naming in this close-knit village (population 363), might be any one of seven women. The mystery of the card’s intended recipient–and its sender, “Your Anton”–preoccupies all of Rosenau and takes Anna of Bengat homestead on a profound inner journey. By the time the novel closes, with Bent Elbow homestead’s Laura in 1977, we are on intimate terms with the life of Rosenau, governed by sun and snow, by the cycles of farming and dairying, by the intrusions of war, and by the passions of its people, their loves and losses, their courage and humor, their pettiness and their nobility. In her remarkable first novel, Rosina Lippi gives us a world rich and strange, made known with stunning particularity and emotional precision. High in the Austrian alps, ringed by the Three Sisters and the majestic Praying Hands, lies the tiny village of Rosenau, a scattering of dairy farms so isolated that the arrival of a postcard from the outside world is an event to set everyone talking. Against this simple backdrop, Rosina Lippi unfolds the grand passions that animate the human heart. The novel opens in 1909 with Anna of Bengat homestead and her love for rough, beautiful Peter, her husband, and for their children, and for her dead sister’s boys, feebleminded Stante and crippled Michel. As the years pass, the story unfolds through the eyes of the women of Anna’s family and the interconnected families of Bent Elbow homestead and the Wainwright’s clan: Bent Elbow’s Johanna, finding sudden, late love in the summer of 1916 with the Italian deserter Francesco; Isabella, Peter’s mother, who cannot bring herself to look at his ravaged face when he comes home from the Great War; Wainwright’s Katharina, half- sister to Stante and Michel, carelessly betraying them to the Nazis for a ride in a Daimler; Anna’s Olga, who grows up to marry Goat-Cheese Willi’s Klaus and lose him and her four brothers in the maw of the Second World War. As we read, each chapter adds layers of meaning from a different character’s point of view, and the life of Rosenau gathers force and complexity, like a living thing. We don’t notice while we’re watching, but when the tale is done we’re stunned by the fullness and beauty of a world as remote as another planet, as near as our own longings and loves. Rosina Lippi is one of those impassioned storytellers who moves us to tears and makes us grateful for it. She gives us the small with the large, our worst impulses set beside our most generous and heroic ones. It is that quality that makes me love her characters, all difficult, stubborn, whole and fully human. 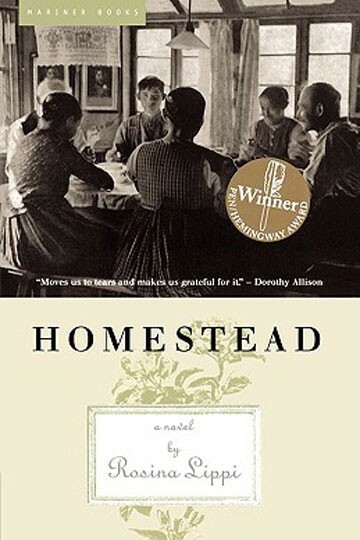 Reading Homestead, I felt some deep, tender part of me touched and made stronger. It is a heartbreakingly beautiful piece of work. An intricately braided narrative about a place that will be, for most readers, at first foreign and then familiar. These stories about love and community are exceptionally vivid, even when they contain ghosts and traces of memory. Homestead is a book of marvels. The fascinating stories in Rosina Lippi’s novel create a village across time and change by introducing a whole population of souls we would never otherwise meet–their losses and desires, their thwarted curiosity about the wider world. The women in this haunting book are deeply and uniquely of their place, which is rendered with care and precision, yet they speak (often wordlessly) of women’s longings and satisfactions everywhere. Her clear prose has the weight and tender history of old silver and the tang of stainless steel. There are a hundred truths in these twelve stories. Homestead is beautifully and carefully written. It can be compared to Louise Erdrich’s Love Medicine. I also found myself thinking about From Here to Eternity, so rich is Homestead in evocative detail of a lost, unique world. A complex, absorbing and thoroughly moving portrait of a community. Rosina Lippi is associate professor of linguistics in the English Department at Western Washington University. The Rosenau of Homestead is an amalgam of several villages in Vorarlberg, Austria’s westernmost province, where she lived for almost four years, teaching and studying the beautiful dialect spoken there. Among the many achievements of Homestead is her convincing rendering of this dialect into colloquial English. Lippi is a writer of great range and versatility. 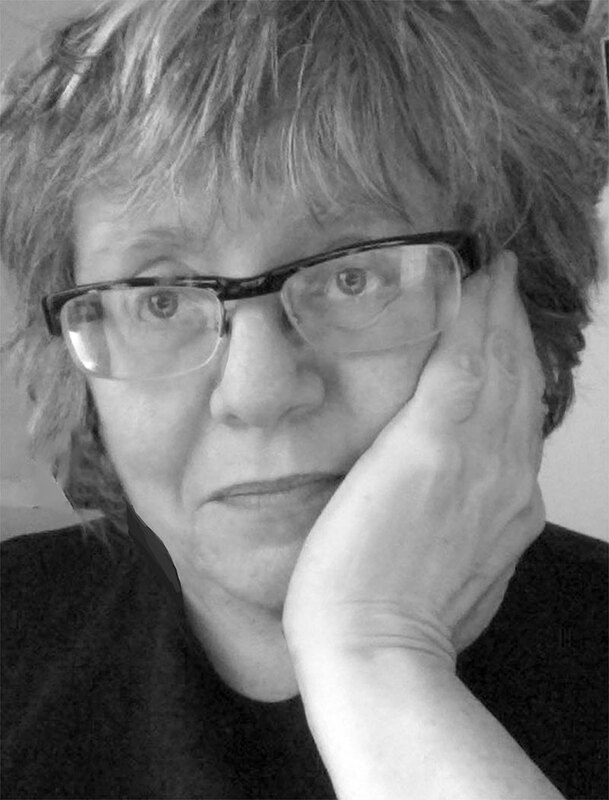 She is the author of the novels, The Pajama Girls of Lambert Square, Tied to the Tracks and English With an Accent. As a linguist, under the name Rosina Lippi-Green, she is the author of English with an Accent: Language, Ideology, and Discrimination in the United States (Routledge, 1997). And under the pen name Sara Donati, she is the author of Into the Wilderness (forthcoming from Bantam), a reworking of one of James Fenimore Cooper’s Leatherstocking tales. Her fiction has appeared in Epoch, Glimmer Train Stories, and Redbook.